We’ve seen DJ controllers promote the idea of mixing performing and DJing, or remixing and DJing, before. What sets the Roland-Serato collaboration apart is that these devices actually start to resemble production gear as much as they do DJ gear. And while the hooks into Serato’s performance features are clearly part of the appeal, some of these capabilities come from built-in hardware features that exist independently from Serato’s functionality on your computer. That’s certainly true of the tricked-out DJ-808 flagship, which will even process vocal inputs via the mic, or the DJ-505, which still has dedicated drum machine controls. But it’s surprisingly hidden away even on the entry-level DJ-202 (accessible via the pads). What all three of the DJ-X0X series have in common is the TR-S drum machine. 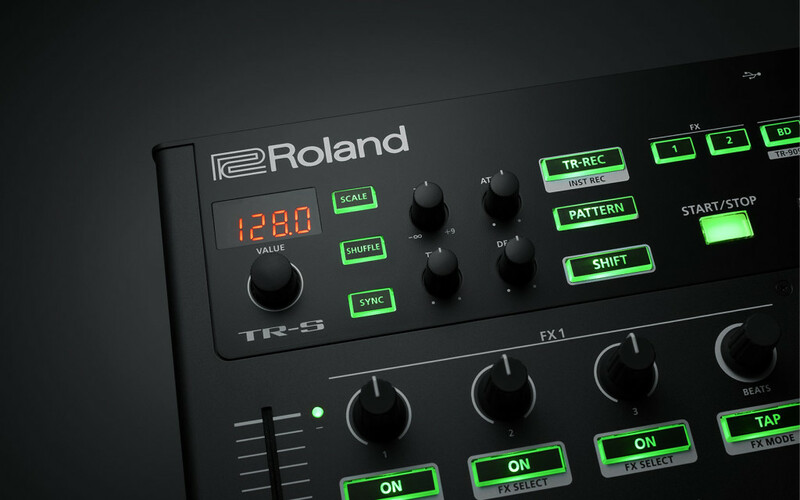 It’s a slimmed-down cousin to the AIRA TR-8, and like the TR-8 (and boutique TR-08 and TR-09), it’s based on Roland’s ACB (Analog Circuit Behavior) technology. That means it sounds pretty darned close to the sounds of the analog circuitry on the original machines – only it’s lurking inside your DJ controller, rather than expensive piece of analog gear you’ve lugged along. Getting one of the Roland DJ controllers really is like getting a tiny drum machine “for free.” And all three models have some signature sounds from the 808 and 909 (and now 606 and 707), plus performance controls. Patterns are all overwritten as you mess around with them, which is a good thing for playing live. But in case you’re afraid of wrecking a perfect groove, you can also back up and restore data – so you can save data from a particularly good gig, for instance, or either the factory defaults or your favorite patterns. What’s all this for? Well, you can add a percussion line to a track. Or you can transition from a track to a live jam on the drum machine. Or you can add a groove to a track that doesn’t have one. The combination of Serato and the TR-S also make this an appealing remix tool or even a quick way to start a production. It’s really up to you where you see this fitting in, but it’s nice not to have to cable in a separate drum machine to pull this off. The basic workflow I found was this: I mix and beatmatch normally on the Serato decks, then tap the SYNC button on the TR-S to lock it to the active bpm when I want to add some live rhythm. From there, the possibilities open up. You can avoid being repetitive not only by switching patterns or programming your own, but by making use of mute and even switching individual sounds or whole kits as the pattern plays – see the reference below. Now, note, this covers the DJ-505 and DJ-808. Serato actually cooked up a really easy guide to the DJ-202. It’s far less obvious and immediate – it’s all compressed onto the performance pads on the bottom of the controller. But in exchange, the DJ-202 is the least expensive and most portable of the three. Now, note, while this may seem like it’s just for the Serato sampler, it’s actually both that and built-in TR kits. 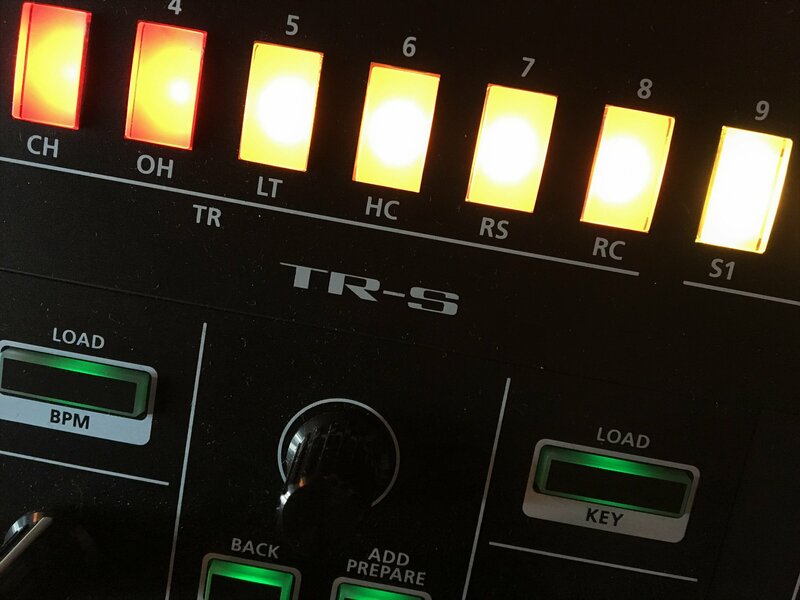 Like the 505 and 808, the DJ-202 in the 1.10 firmware update adds the TR-606 and TR-707 sounds to the TR-808 and TR-909. So, you can make some Roland drum sounds till the cow(bells) come home, basically. Everything else in this Serato article remains up-to-date apart from those new sounds. 1-16 correspond to the TR-S drum pads on the top of the unit. Note: shuffle and nudge work in reverse of one another. That makes some sense: increasing shuffle means that the notes fall later; “nudge” moves them forward or backward in time directly. Nudge and tap tempo were added on the DJ-808 in the 1.10 firmware. Added in 1.1 firmware, TR-S effects per kit. Each time you select a new kit, your settings are saved, and recalled each time you load a kit.